As part of the British Lung Foundation’s campaign to raise awareness of what breathlessness may mean for your wider health, we highlighted the work of Dr Jennifer Quint and her team here at NHLI. We supported the #BreatheEasy campaign by doing a series of short videos where Jenni and her PhD student, Ann Morgan, talk about their BLF funded research. 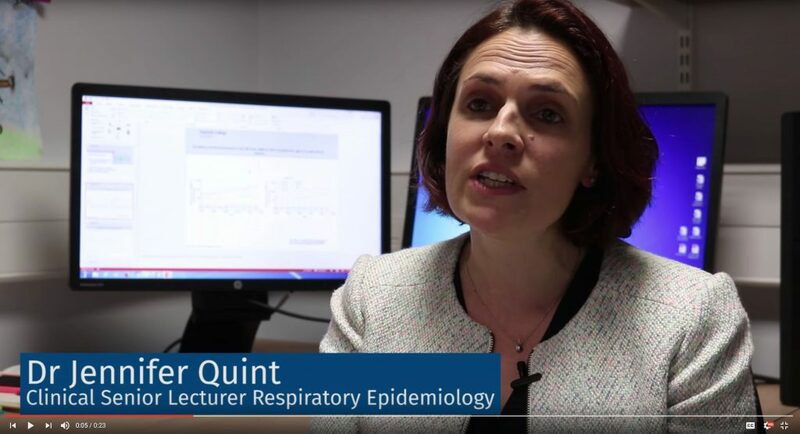 The series of videos we created on this research is from the Respiratory Epidemiology group, and is using anonymised patient records to look at respiratory disease. By using simple questions on what the research was about, why it is important and its potential impact we hoped to make the research accessible to the wider public. We found the greatest engagement on twitter was with the simplest questions – “What is COPD?” was only beaten into second place by the promoted tweet pinned at the top of our homepage “Can you tell us what your research is about?”. In June, the Joint Research Office and its partner teams held Research Support Roadshows at Hammersmith, St Mary’s and South Kensington campuses to outline the range of support services available to staff in the Faculty of Medicine. The sessions were well attended and well received, generating a range of questions and interesting discussions on a number of issues.